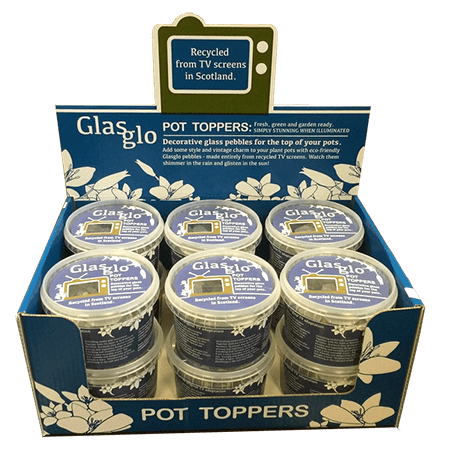 Our eco-friendly pot topper pebbles bring style and vintage charm to your plant pots. Simply place the pebbles around the top of your plant pots and planters and watch as they shimmer and glisten. These are ideal for topping off your indoor and outdoor plant pots, planters, glass vases and displays. 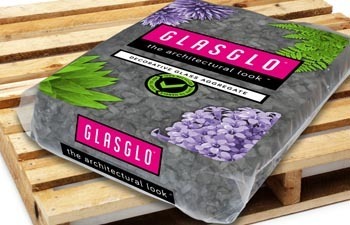 From parks and gardens, ponds and artificial lakes, new estates and urban design features, Glasglo can even be used as a substrate around statues or as a topping in cemeteries. Available also in a powder format, it’s useful for the construction industry too as a sharp sand, drain fill, sub-base or epoxy resin.